New Year, New Us ~ What's in a name? New Year, New Us ~ What’s in a name? Two weeks ago I had the pleasure of unveiling our new company name and brand identity. Since then we have received so much support for our new name and look! 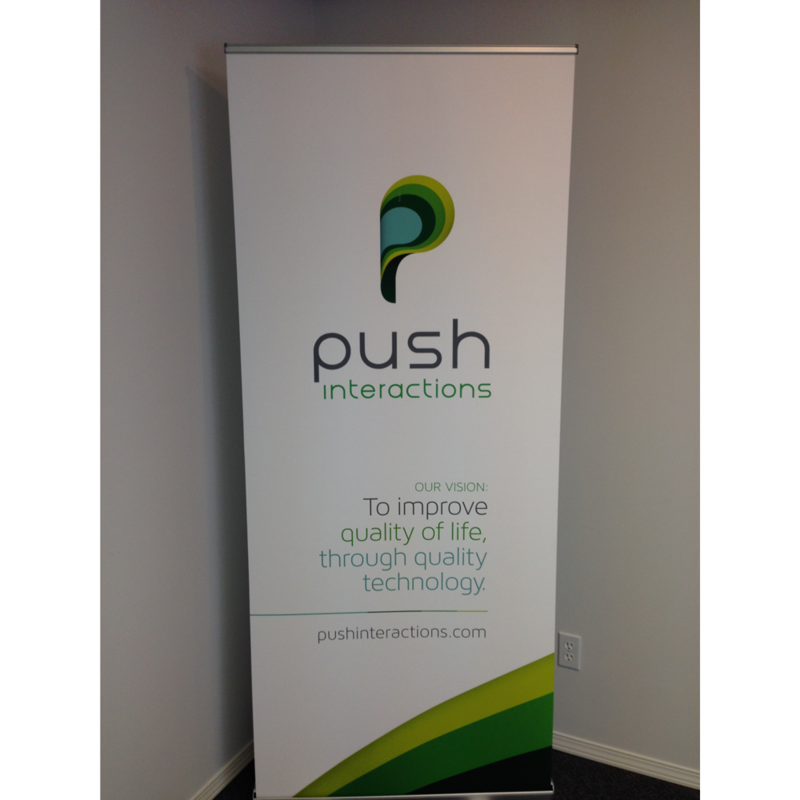 We also received our first company banner and got to show it off at a career fair and to the clients who have visited our office. Everyone felt an instant connection to this simple phrase. 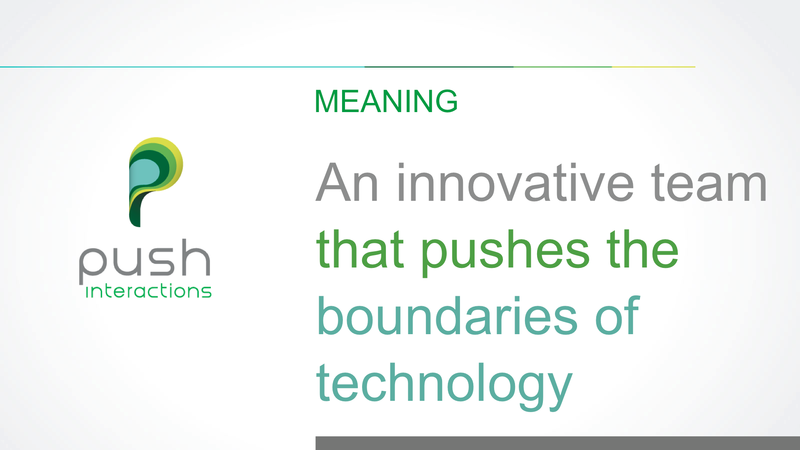 Once we had decided on the word “Push” we began to do our research into how we could legally make this name ours. We learnt that it was best to have a word attached that would give some sort of descriptor for what our company did. After much trial and error we decided on “Interactions” because not only did it describe what our product does but also what we do everyday with our own team and our amazing clients. Once all of the legal filings were complete, we announced our new name to the whole team on the day we moved to our new office! Stay tuned for the next New Year, New Us when I will share that first day in our new office with you! By the way you may be wondering (just as we were) “Well WHO exactly wrote that sticky note?!?! )” By the time we announced the new name to the team that beautiful neon orange sticky note had gotten lost in the shuffle (I remember it was orange at least!) and no one ever claimed that they wrote it!